A native of New Orleans, Prince’s art is steeped in the rich rue of the Crescent City’s traditions that merge the syncopations of jazz and blues music and the didactic contemporaneous voice of hip-hop culture. The philosophy of his work hinges on the funerary tradition of the Dirge and the Second Line. For Prince, the funerary tradition is synonymous with loss and recovery. Ideologically he professes that we must grapple with the hurt (Dirge) and the scars of the past in order to foster a communal resurrection (Second Line) and break the “cycles” of hate and replace it with love. The Cycle exhibition is comprised of Conte Crayon and graphite drawings and linoleum and lithographic prints on paper. This is Prince’s first solo exhibition at SJG. Prince received his BFA from Xavier University, New Orleans and his MFA in Printmaking and Sculpture from Michigan State University. 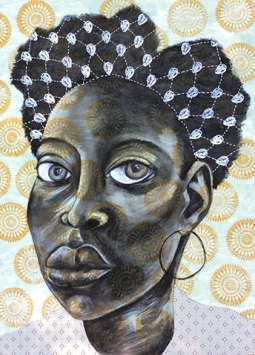 The artist has received several honors including Second Prize in the Ruminate Magazine Kalos Foundation 2016 Visual Art Prize, a 2013 Janet and Walter Sondheim Prize Semi-finalist, the two time Best in Show recipient at the Contemporary Art Center of Virginia Beach News Waves regional competition in 2001 and 2004 and a two time Semi-Finalist of The Trawick Prize, Annual Bethesda Contemporary Art Awards at Creative Partners Gallery, in Bethesda, Maryland. Prince has shown his work internationally in solo, group, and juried exhibitions including the Ohr’-Okeefe Museum, Biloxi, Mississippi, the Lauren Rogers Museum of Art, Laurel, Mississippi, the Contemporary Art Center of Virginia, the National Gallery of the Bahamas, the Museum of Cultural Arts Center, Santa Catarina, Brazil, the Grand Rapids Museum of Art, the Portsmouth Courthouse Museum, the Louisiana Art and Science Museum, the Museum of African American Culture, New Orleans, and the Peninsula Fine Arts Center. 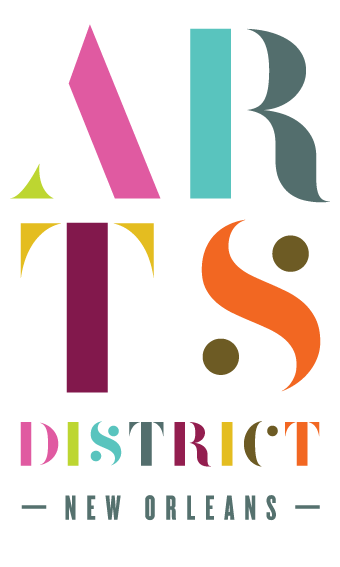 SJG was selected as a 2018 Downtown NOLA Awards Honoree for bringing diversity to downtown New Orleans, has been listed as a Cultural Landmark by The Drum newspaper and named by Thrillist as one of THE FOUR SPOTS THAT HAVE TRANSFORMED THE ARTS DISTRICT INTO NOLA’S HOTTEST NEIGHBORHOOD.